5% If you Buy 2 or More. 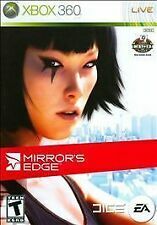 Mirror's Edge (Microsoft Xbox 360, 2008). Condition is Like New. Shipped with USPS First Class Package. Mirror's Edge: Catalyst (Microsoft Xbox One, 2016). Condition is Very Good. Shipped with USPS First Class Package. Mirror's Edge: Catalyst Collector's Edition 14" Faith STATUE. Statue ONLY, shipped safely and bubble wrapped with care. Condition is Like New. No Damage or blemishes. Shipped with USPS Parcel Select Ground. the case has some dirt marks and some scratches but the disk is fine and works well. Mirror's Edge Catalyst PS4 game. Condition is Like New. Shipped with USPS First Class Package. 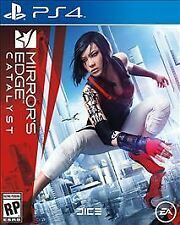 Mirror's Edge: Catalyst (Microsoft Xbox One, 2016). Condition is Like New. Shipped with USPS First Class Package. Follow Faith, a daring free runner, as she fights for freedom in the city of Glass. What appears to be an elegant, high-tech city on the outside, has a terrible secret hidden within. Experience Faith's origin story inMirror’s Edge Catalyst and fight for freedom in the city of Glass. Mirrors Edge Catalyst Collectors Edition and Mirrors Edge game!! Brand New! Excludes: Alaska/Hawaii, APO/FPO, US Protectorates, PO Box. Atlanta Network Technologies, Inc. Manufacturers change colors and item details frequently and often do not update pictures. We have no personal knowledge or experience with this product or ability to customize it. Here we have a complete copy of Mirrors Edge for Xbox 360. From my personal collections. Our prices are always among the lowest online. if the item shows a manual then it is included. if it does not then it is not included. EXCELLENT CONDITION PLAYED MYSELF ONCE OR TWICE JUST DONT HAVE THE ORIGINAL CASE AS I COULDNT FIND IT. GREAT BUY. Box has been opened and put on display. All accessories are there it is in like new condition. Follow Faith, a daring free runner, as she fights for freedom in the city of Glass. What appears to be an elegant, high-tech city on the outside, has a terrible secret hidden within. The city is huge, free to roam and Faith is at the center of it all.